Engineered in the Netherlands, the advanced radial Flotation Pro supports the needs of contractors and farmers alike. Its sturdy radial construction ensures maximum performance in the most difficult field conditions. 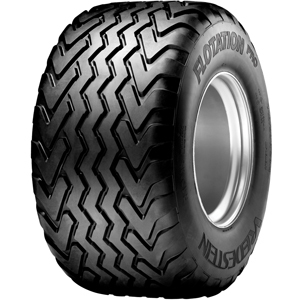 Sturdy carcass construction ensures excellent flotation properties, and makes the tyre ideal for high-speed transport. Even surface area pressure distribution ensures minimal soil compaction and limits rutting in sensitive crop areas. Unique tread design ensures excellent self-cleaning properties.